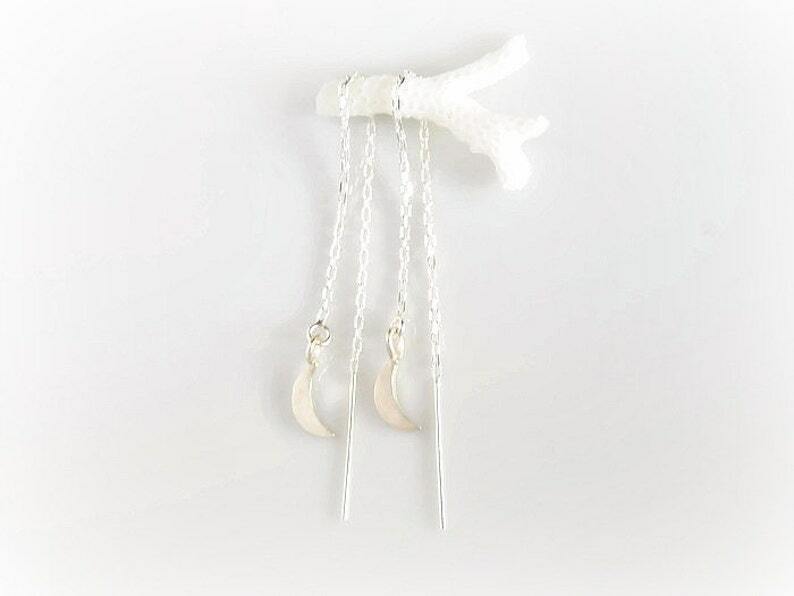 Tiny little moons dangle from delicate chain, twinkling and catching the light. 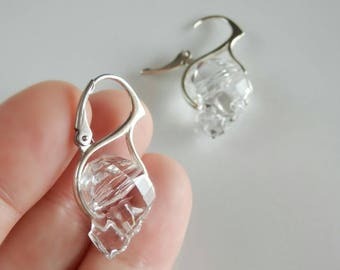 These handmade ear threads are so thin they will pass through a normal ear piercing. Comfortable and oh so lightweight, you can adjust the length and even thread through multiple holes. 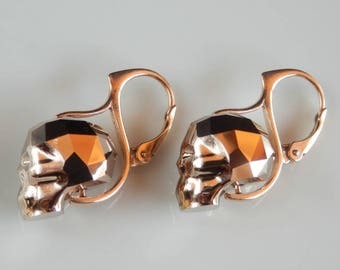 Each earring measures approximately 3 5/8 inches (9.2 cm) in total length. Depending on how you adjust them, they will hang approximately 2 inches below your ear. The moon charms measure approximately 1/2 inch (12 mm) long including the bail. This listing is for one pair of solid .925 sterling silver threaders with solid sterling silver charms. 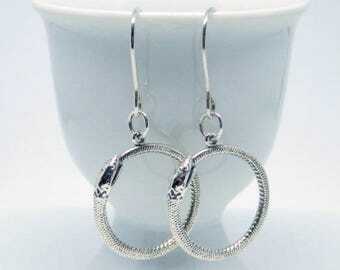 Threader earrings, also called ear threads, are easy and comfortable to wear. If you have multiple ear piercings, you can experiment and thread through multiple or single pierced holes. The chain is much finer than it appears in my enlarged photos, and these are not large or heavy. The fourth photo shows the earrings next to a mercury dime, which is 18mm in diameter, the same size as a modern U.S. dime. It is shown to help illustrate scale.